Hi again! Hope you're all doing well! I just painted my fingernails so I'm trying to type this out without getting my nails touching the keyboard :P You've probably seen an Instagram pic of them by now. 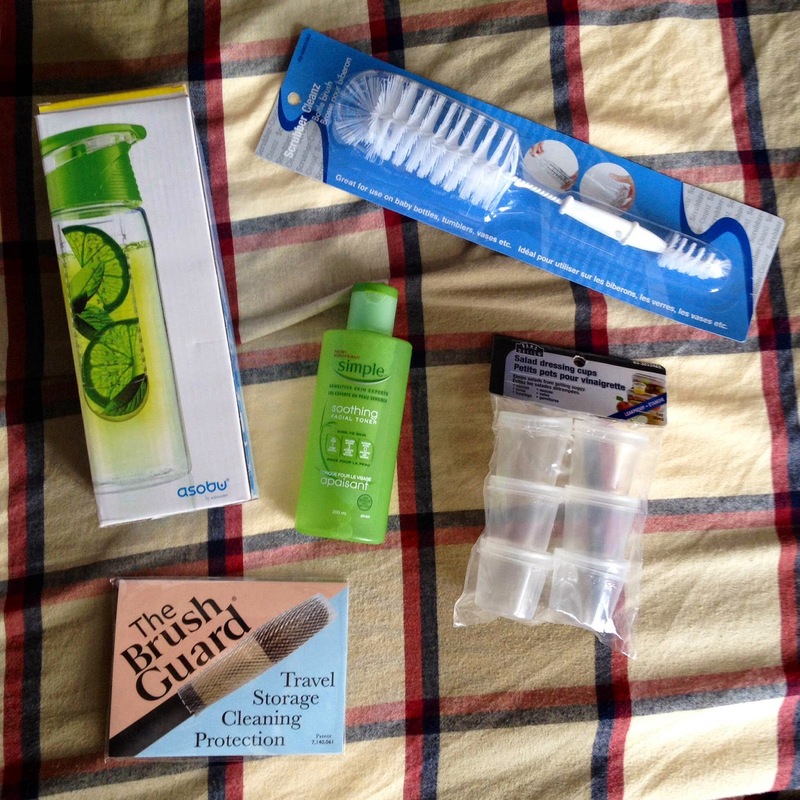 I recently bought some stuff that I think you would find useful to know so I'll be sharing what I purchased and why with you all! Before I discovered these I never wanted to pack salads for lunch because I thought that pouring the dressing onto the lettuce beforehand would cause it to become all wilted and soggy come lunchtime. This will change it all! 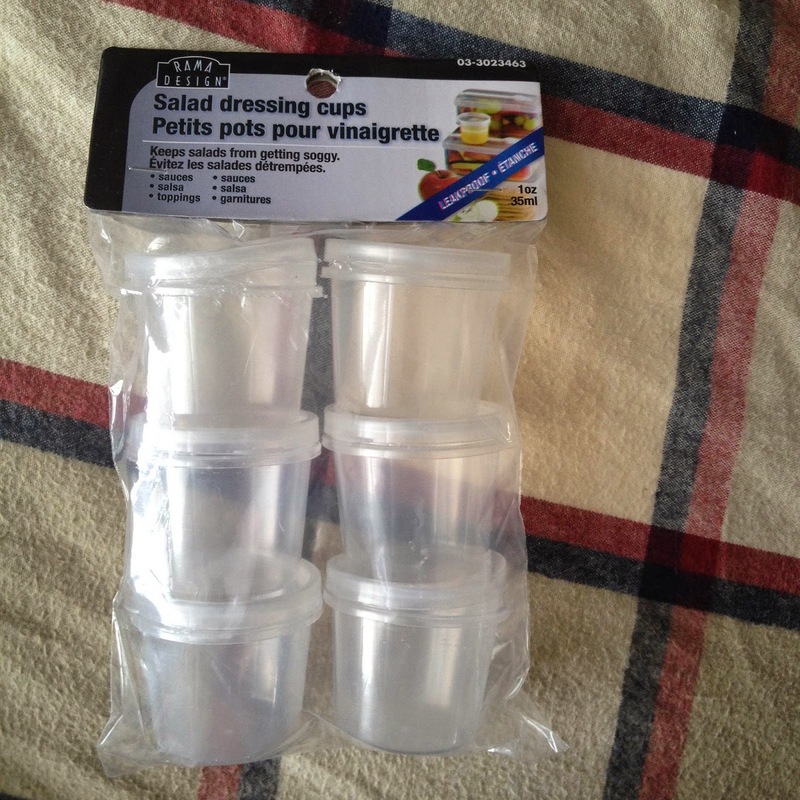 These little cups are meant to hold your salad dressing separately so that your lettuce can stay fresh and crisp when it's time to eat. The cup is small enough so that you can fit the whole thing into your container of salad, no need to carry it separately! It can be used to hold other things for your salad (e.g. croutons), hold some snacks on the go (e.g. trail mix), or hold leftovers (e.g. sauce that can be reused for another meal)... very versatile. This pack of six was purchased from Dollarama for only a dollar! I am about to finish my first bottle of this and have already repurchased my next bottle. 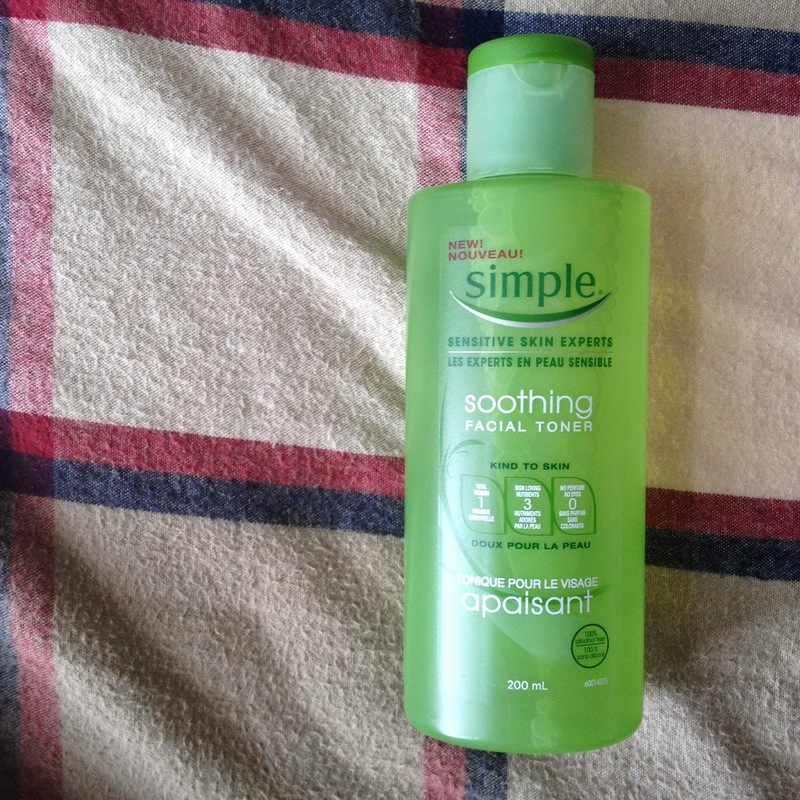 This line of skincare products by Simple is produced specifically for people with sensitive skin, so the ingredients used are not harsh and very gentle to the skin (no perfumes/dyes/alcohol). I don't really have sensitive skin anymore but I still use this toner because it feels so good on the face and my skin feels refreshed after applying. This was purchased at Walmart so it's very affordable. These things are amazing. They act like sheaths for your makeup brushes (for which I am using them) but they can be also used for paint brushes. They come in different sets but I bought the variety pack which comes with different sized brush guards. I placed one of the guards on my blush brush to show how it's used. As it mentions on the packaging, it helps maintain the proper shape of the brush and protect the bristles from damage when travelling and/or storing. Another great benefit of these guards is how it helps the brush to dry upside down after it has been washed. The guards are made from a stiff mesh material that wraps tightly around the barrel of the brush so it can be held upside down when propped up. This enables the water to drain down and out of the brush after washing rather than dripping back into the barrel and loosening the glue that holds the bristles if it was propped upright. 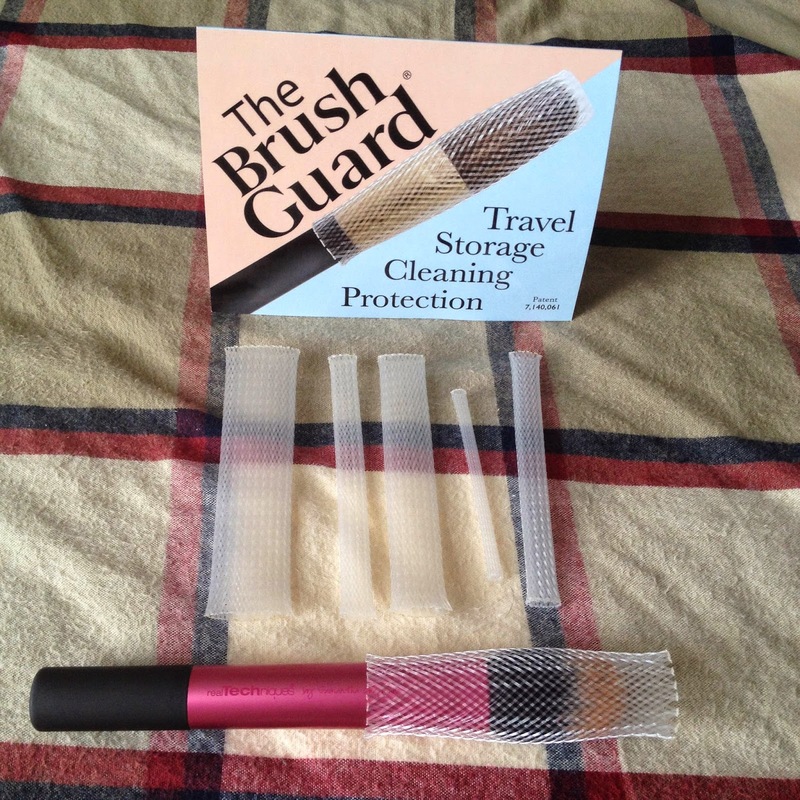 These guards also help keep the brushes cleaner since they can be placed upside down in a holder instead of having the bristles face up and collect dust. I ordered this online from Amazon for only $5! I first got inspiration from Youtuber Cassey Ho of Blogilates to try making detox water (you should check her out if you don't know of her, she uploads fun workout videos). There are so many vitamins, minerals, and nutrients that can be extracted from fruit and vegetables...this bottle helps you accomplish that. As you can see on the box, the fruit and veggies used for your detox water is placed in the infuser compartment of the bottle. 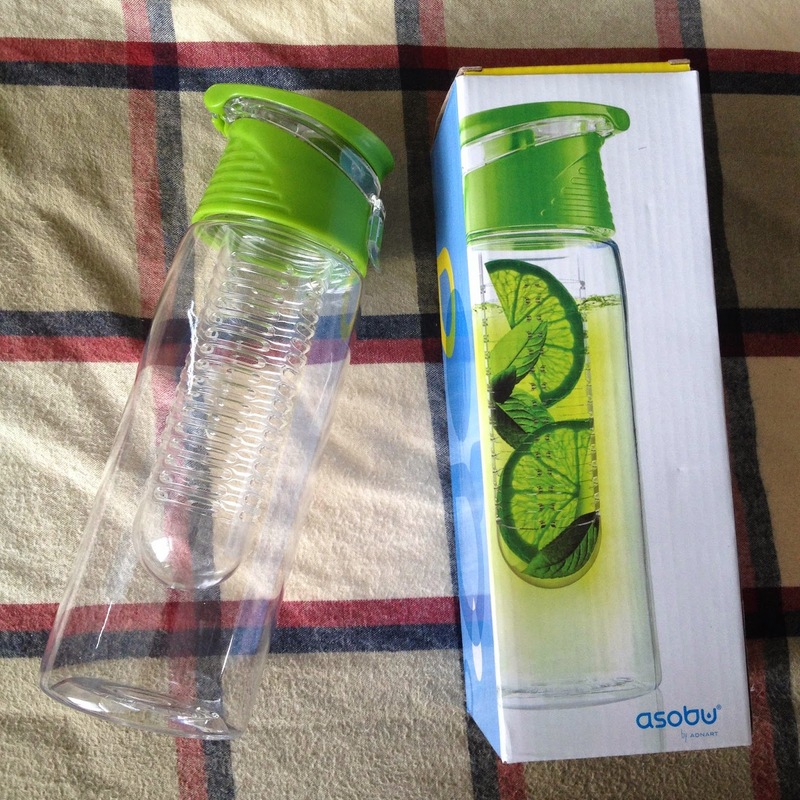 The infuser can be detached so washing is very easy (the entire bottle is dishwasher safe). To make detox water, you fill the infuser with whatever fruit/veggies you want, fill the bottle with water, wait for an hour or so, and voila! The fruit and veggies give the water an extra kick of flavour and it's very energizing. My favourite combination of ingredients for detox water is lemon, orange and cucumber together (it's a tummy-slimming recipe hehe). This was also ordered from Amazon! Have you ever found it hard to wash tall but narrow tumblers, vases, or bottles? Or even tiny crevices in your tumbler/bottle caps? I find it so frustrating when I'm trying to scrub the grime off the inside but my hand and sponge can't reach the bottom and the grime collects in these items. This super cheap scrubber has saved the day. 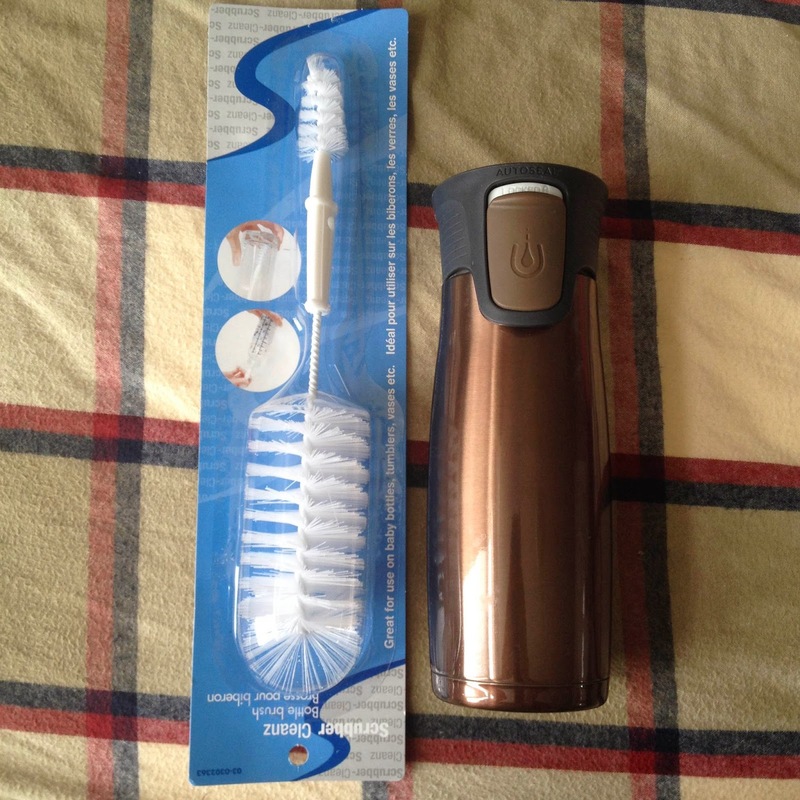 I placed the scrubber beside my Contigo tumbler in the pic as a reference for it's length. This can definitely reach the bottom of these tall items. The plastic bristles are soft enough such that it won't cause any scratches that can damage your tumblers or other household items. The smaller end of the scrubber is also useful to get into very small spaces that your fingers/sponge might not be able to reach, or even to tackle small, tricky stains at the bottom of your bottles. This staple household cleaning tool was only a dollar at Dollarama! What are some things that you have bought recently? Anything to recommend? Eye Post #1: Opticianry? Optometry? Opthamology?